With more people than ever before now aware of the disastrous consequences associated with fossil fuel emissions and the impending impact of severe climate shifts, there is considerable interest to explore renewable, clean energy solutions. Solar power has rapidly grown in popularity with many homeowners who have opted to install panels and plenty of motorists who have started to switch to electric models, which can be recharged via solar powered charging stations. Problems arise, however, when we start to contemplate large scale installations: many times, it’s difficult to find the land to host the necessary infrastructure - land that could otherwise be put to productive use. A new way to employ solar panels, dubbed “floatovoltaics,” may be the key to resolve these concerns. Floatovoltaics - solar panel systems that are configured to operate atop bodies of water - utilize vast areas of currently unused salt water, wastewater and reservoirs in which such setups will have little negative impact on surrounding aesthetics or wildlife. Not only do these water-bound systems save valuable land space, the water lying beneath them serves to keep the panels cool and prevents overheating, which makes these floatovaltaics 8 to 10 percent more efficient than traditional equipment. The electricity produced by floatovoltaics can be used locally or tied into the pre-existing electric grid to power homes and businesses some distance away. Even small, private bodies of water are ideal as power generation sources and in most cases, the owners of floatovoltaic systems are able to get back a portion of their investment by selling excess power back to energy providers and nearby utility firms. Additionally, these panels can block the water from direct sunlight, which would have otherwise promoted the growth of algae and other unwanted microorganisms. A further benefit that has drawn attention in drought-stricken areas, like California, highlights the panels’ ability to counteract evaporation. The water evaporates more slowly when covered than when exposed to air, which makes employing such systems highly appealing in their water conservation efforts in addition to generating revenue through the sale of electricity. Unfortunately, there are certain difficulties associated with this type of equipment. Because the panels are constantly exposed to water, it's crucial that all components (particularly the wiring that secures the panels) are waterproofed to prevent corrosion and damage. This makes installation and maintenance cost more than they would for land-based systems. Installers must also account for the possibility of storms, hurricanes and changing levels of water when they create floatovoltaic designs. And while some environmental activists are worried about the potential effects of large solar setups on ecosystems, most of these fears can be laid to rest by placing the panels near the center of bodies of water. Napa Valley’s Far Niente winery took the first plunge into floating solar technology back in 2008 and pioneered the ingenious concept in the United States. 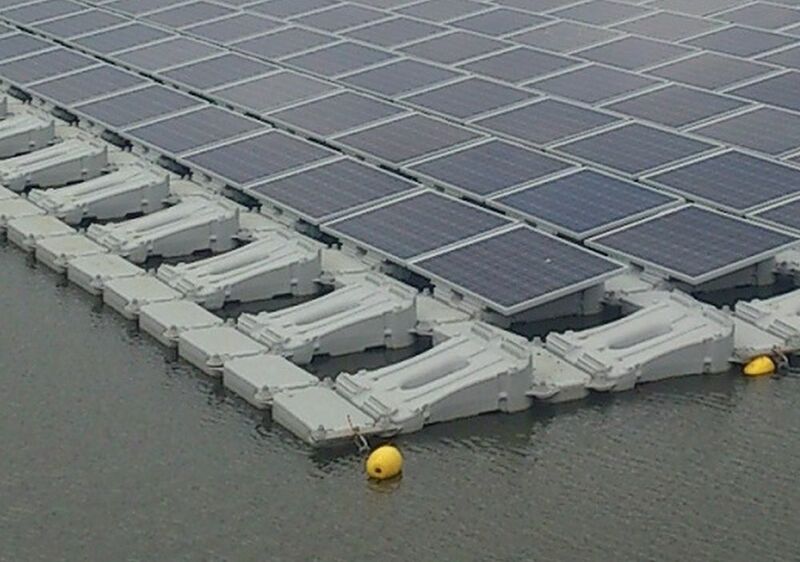 Now, several other floatovoltaic systems including one at a water treatment plant in New Jersey are in operation. Sonoma County, also in California, has reached an agreement with Pristine Sun to generate 100 percent renewable energy by placing solar infrastructure on wastewater ponds. As the nation struggles to meet its energy needs in the near future, these and other proposals will be of considerable assistance in cleanly satisfying market demand. 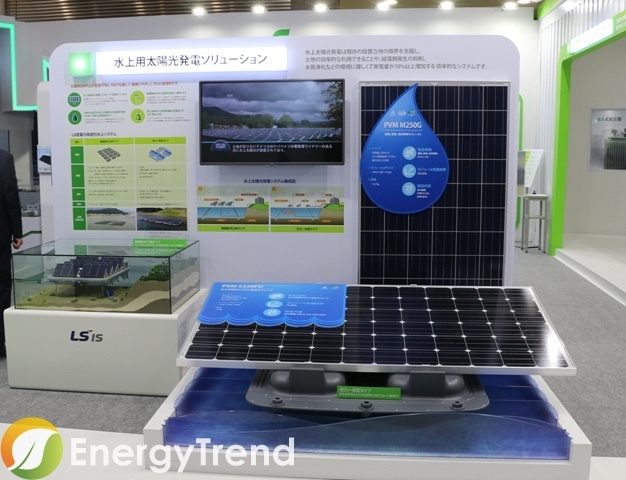 Japan, an innovator in many areas of technology, has built the largest floatovoltaic installation in the world in Hyogo Prefecture. This year, Kyocera Corporation completed construction of the system, which is estimated to be able to supply the electrical needs of more than 800 households. Meanwhile, Great Britain launched its first floatovoltaic structure in 2014 with the help of French vendor Ciel et Terre. Other countries that have started to use this technology include Australia, South Korea, India and Israel to augment their clean energy efforts. 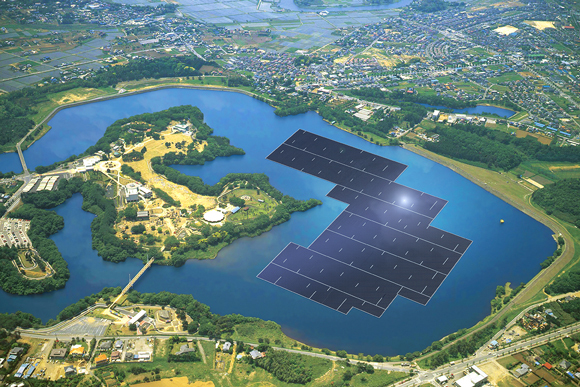 Because the earth's surface is mostly water, there are plenty of locations that are well-suited to the installation of floating solar panels. With global warming threatening to render many parts of the planet uninhabitable, we can't ignore technology that's so widely applicable and beneficial. Though they cost a bit more than traditional solar setups, floatovoltaic systems offer gains in efficiency, ecology and convenience that more than offset their disadvantages.